The quote went viral, sparking hysterical headlines around the world and instantly turning Mr Gurner into a villain among young people struggling to break into the housing market, reports news.com.au. It’s all a storm in a teacup to Tim Gurner, however, who has gone on to show that a few home truths, or political incorrectness (depending on your point of view), doesn’t have to hold you back. The 36-year-old’s wealth in 2018 sits at $631 million—up from $465 million in 2017, when he placed fifth on the table of well-heeled under 40s. The AFR list reveals the top ten wealthiest Australians aged 40 and under. Atlassian co-founders Mike Cannon-Brookes and Scott Farquhar topped the 2018 AFR Young Rich List for the seventh year running with a record $14.2 billion—smashing the previous Young Rich List wealth record of $6.08 billion, which they held. Several acquisitions this year have pushed the developer’s combined project value to more than $5 billion, spanning almost 7,000 apartments across Victoria, New South Wales and Queensland, notes the AFR. One of those deals is the sprawling Novotel hotel in St Kilda, which Gurner is transforming into a $500 million luxury residential precinct. According to Fairfax, his company also recently recorded a combined $200 million in sales in two developments in South Melbourne and Prahran. He recently planned to sue Victorian planning minister Richard Wynne over the minister’s decision to intervene in one of Gurner’s proposed apartment projects in Collingwood. Original plans for the Queens Parade site saw twin 16-storey apartment buildings, which were heavily opposed by a group of local residents and the Yarra City Council. He later secured planning approval for the project albeit at a smaller scale than initially proposed. Mr Gurner has strategically focused on the luxury apartment market in Melbourne, driven by strong demand among wealthy downsizers. This week after securing a permit from the City of Yarra for a $40 million development in the inner Melbourne suburb of Collingwood, he told the AFR he cannot keep up with demand for high-end apartments in boutique projects. 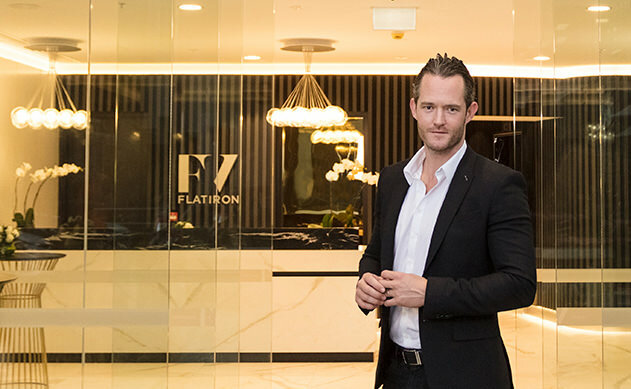 Another important factor in his success has been repeat buyers from investors and owner-occupiers across many of his projects, which he says has justified him using his own brand across each development, says the AFR. “We’ve got people that will only buy our specific product. We’ve got one lady that has bought in all five of my West Melbourne developments. So we’ve got a very big following…and a big database,” Gurner said. “My biggest negative is I’m definitely a perfectionist,” he admits.